As a content marketer, you have probably heard the call for us all to become brand storytellers. While this sounds great in theory, the tricky part for many companies is determining how to develop these stories in the first place. There are no hard-and-fast rules for developing your brand’s stories, but you can go back and look at classic storytelling and structure as a helpful map to guide you. 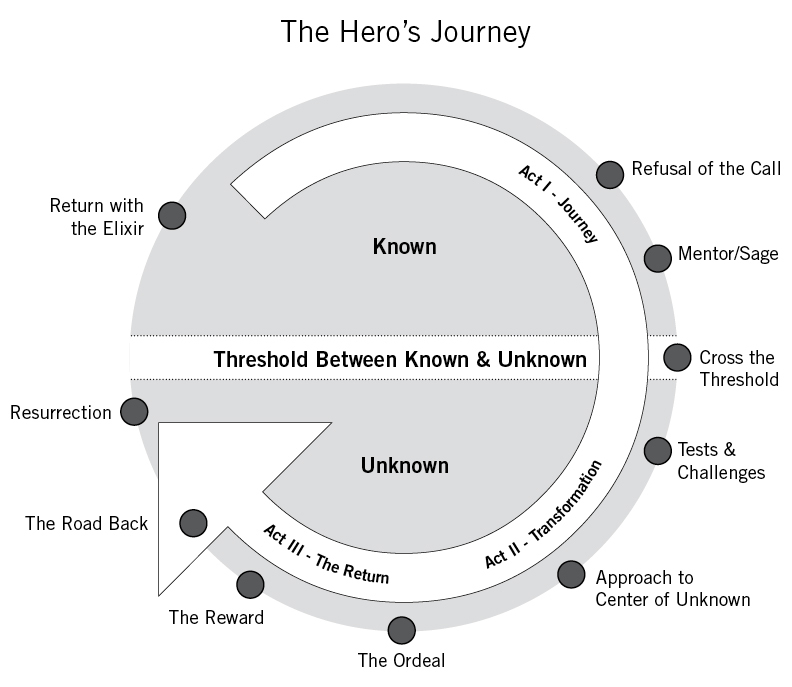 For example, the classic “hero’s journey” from Joseph Campbell’s, The Hero with a Thousand Faces, outlines what he calls the “monomyth” — which is a pattern that many believe can be found in almost every narrative around the world. There are ways to use this hero’s journey to develop your own pillars of content — your own stories. In Managing Content Marketing, Joe and I reduced Vogler’s stages to 10 steps for developing your content marketing brand journey. But before I jump in to explain those 10 steps, know that this is just a framework, not a “to-do” list or a template. The structure is meant to provide a platform to help you to develop a way to tell your story, or maybe to discover what’s missing from your existing story. It’s not a template for the story — this is an important distinction, because your story will be unique to you, your brand, and the experience you are trying to create. Where are your competitors situated? Why do they currently identify with your brand? What if XYZ were actually true? What would the world look like if you could actually realize that “Big Hairy Audacious Goal” (BHAG) that you’ve set out for your brand? What is the call to adventure for your product? What’s the pain that the conventional market feels now? What will you need to add to your story to let your audience know what will be left behind? Are you conflicted about this? What will be the effect of this change on your existing brand? Who in your company (or outside of it) can help you take this adventure? 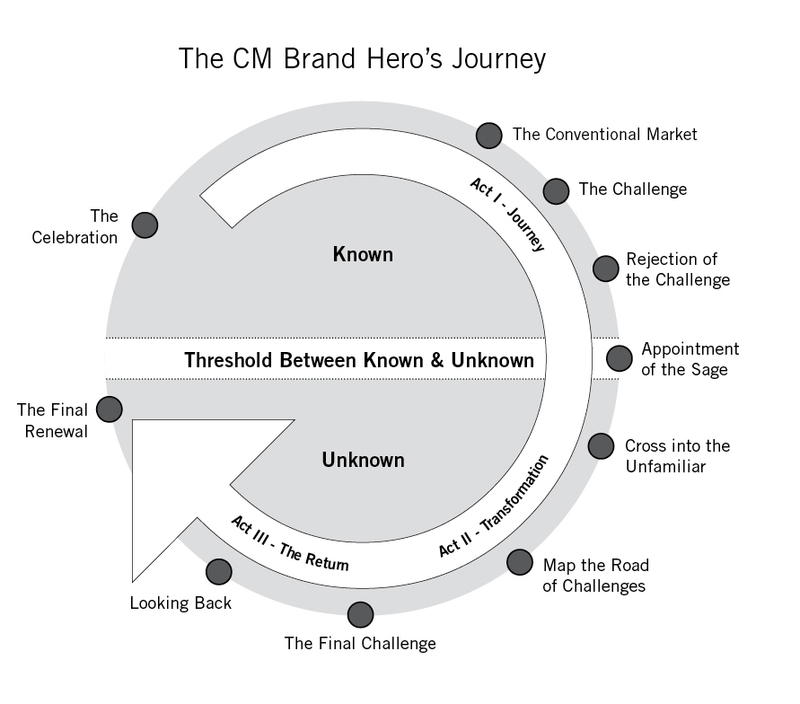 Who will provide guidance for your brand as it makes this journey? Is it you? Is it your CEO? Or, do you even have that person? Is it more than one person? Can you get someone external for this? Will you need to conjure an imaginary character to act as your sage or mentor? Who can stand in front of the world and credibly tell your audience that you are going on this journey together? How will you communicate this crossing into this new idea — this new adventure? How will you lead your audience into this new unknown with you? Who will your brand align with? How can they help you move forward? What tests to your brand’s legitimacy will it face in the unknown? Who will be the naysayers? What tests and challenges can you plan for? What skills will your brand need to address? What will it ultimately achieve? What learned skills (or attributes) will your organization take into the final challenge? What will that final challenge be? Take a look back at the ordinary world. Your brand is different now. How do you show that differentiation? What ambush could — or will — your brand face now that it is different? What will the competition say about you now — and how do you continue? This is you realizing the dream. Celebrating. It’s the final part of your story. There you have it — the structure. It can be used across one small content marketing initiative — or across an entire strategy of content marketing across the enterprise. Changing the level of hero from product, to brand, to service can make it more interesting, and enables you to explore ever more creative “webs” of stories among them. This story structure — which is inherently linear — can also help you structure your content into a story map. The story map helps to organize your pieces of content across a timeline. It compels you to think of your content pieces as “chapters” or “scenes,” and can help reveal the gaps. It may resemble a high-level editorial calendar — but is structured with a focus on telling your complete brand story as you continue along your content development process. Your unique brand story is one of the five core elements for running successful, scalable content marketing operations. Read our 2016 Content Marketing Framework: 5 Building Blocks for Profitable, Scalable Operations for an overview of the full strategic blueprint. 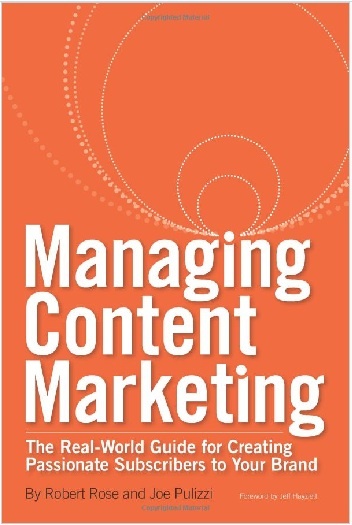 This piece was excerpted and edited from “Managing Content Marketing“ by Robert Rose and Joe Pulizzi.